Wow I can’t believe it’s Thursday already! This summer is flying by! Soon it will be August, I’ll be done with school and have to find a job back out in the real world! CRAZY! So on to the things I love. This edition seems to be a Florida edition since all these things are from back home. 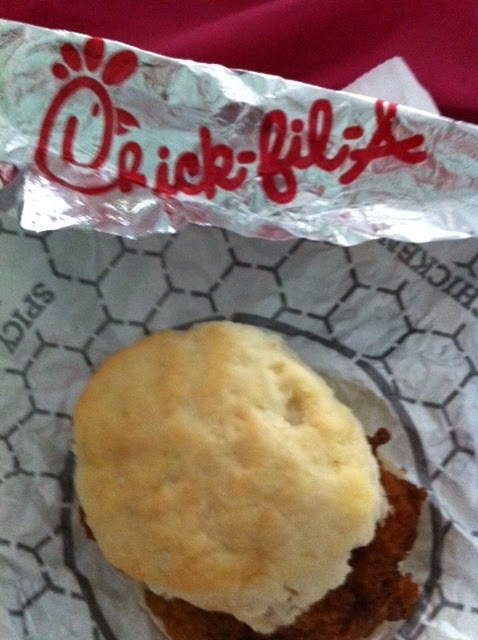 The Chick-fil-A chicken biscuit! I’m pretty sure this is scientifically proven to be the best way to start your day! I picked up this lil guy on my last trip to Florida in May, right after I got off the red eye from Vegas! Now if you’ve never had chick-fil-a you’re MISSING OUT! and you need to go on their website, find the closest one and drive there IMMEDIATELY! If you miss breakfast hours, get a chicken sandwich or nuggets or anything else on the menu cause it’s AWESOME! Then stay the night nearby and get a chicken biscuit for breakfast! You’ll thank me afterwards, I PROMISE! or curse me since you will be addicted and not live close to one! I miss these in Vegas, they’re soo yummy! If anyone wants to invest some capital in a Vegas location I would be happy to run it for you (and totally capable with my dual mba and hospitality degrees). BASEBALL! It’s America’s pastime. I grew up in the heart of spring training country, and even skipped school to go to Braves games as a kid. 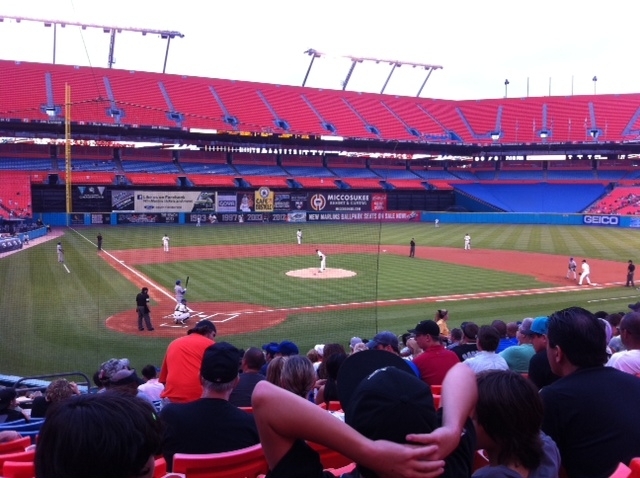 Whenever I’m home I try to go to Marlins games. No one ever goes, so you can get good tickets for cheap! And I have a family friend that can usually get me free tickets 🙂 The real reason I go is for stadium food! helloooooo nachos!! This next picture may confuse a few of you, but I can’t deny the red neck in me. My dad grew up on Lake Okeechobee so a lil of that red neck blood carried over! Now I don’t love gators, they actually scare the CRAP out of me!! But i LOVE counting gators or spotting them on trips. So this is where being a lil red neck kicks in. Whenever we drive out to my dad’s hometown to visit family, there’s a back road with canals. I make my dad go down that road so we can have a friendly family competition of counting gators in the canals! It’s a tradition and i LIVE for it! While my dad used to win all the time, I’ve really stepped my game up in recent years and have won a few times! My parents also have a home in north Florida on the St. John’s River. We do a lot of fishing and jet skiing and when we’re out I’m always on the lookout to spot gators. 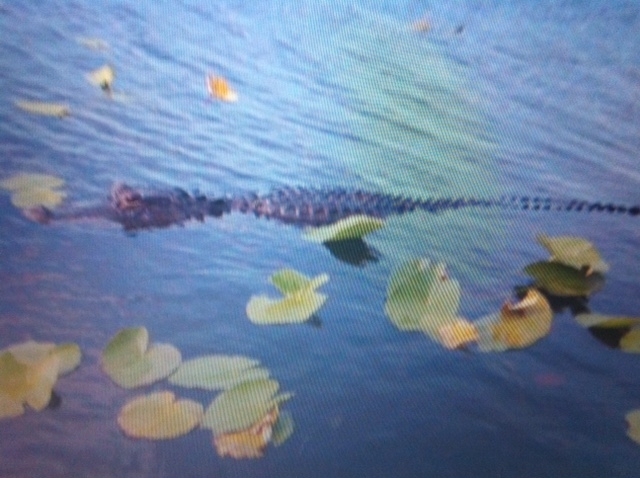 It amazes me to see people swimming in the water and just around the curve is a 12 foot gator!! You’ll never see me in that water!! They’re amazing creatures and I love looking at them (from a distance)! Hope you enjoyed this Florida edition of Things I Love Thursdays! What things do you love? ?